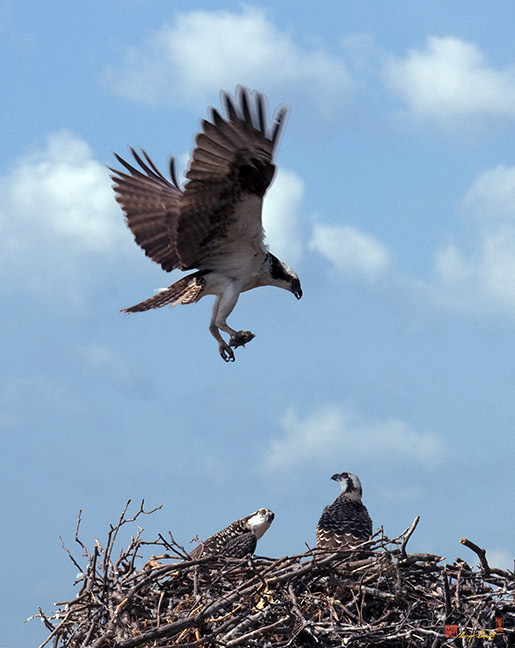 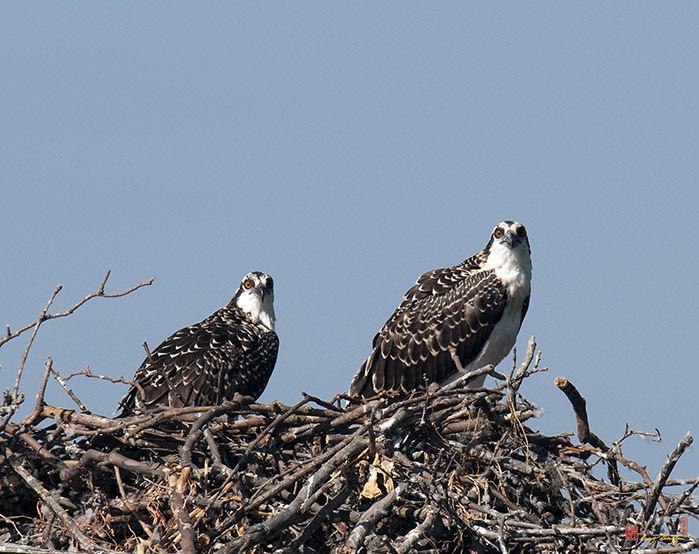 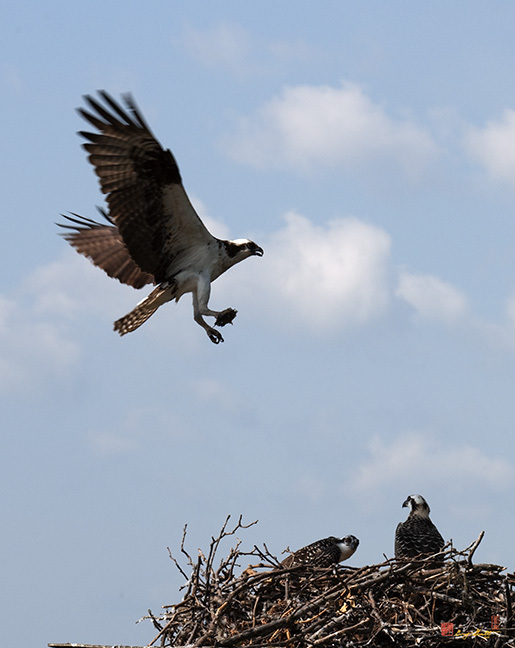 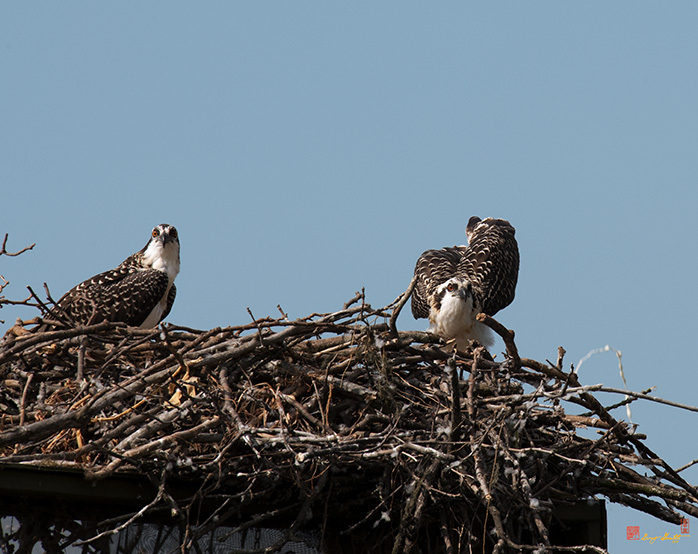 Photographs of Life at an Osprey Nest. 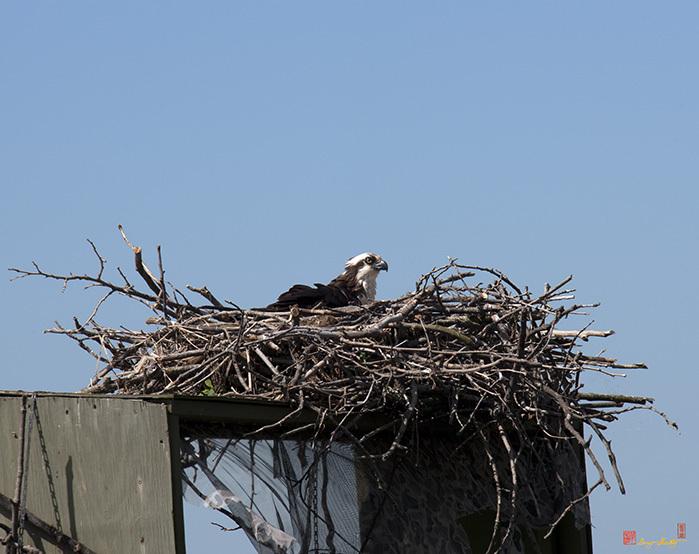 This nest was built on top of a duck blind and has been used for a couple of years now. 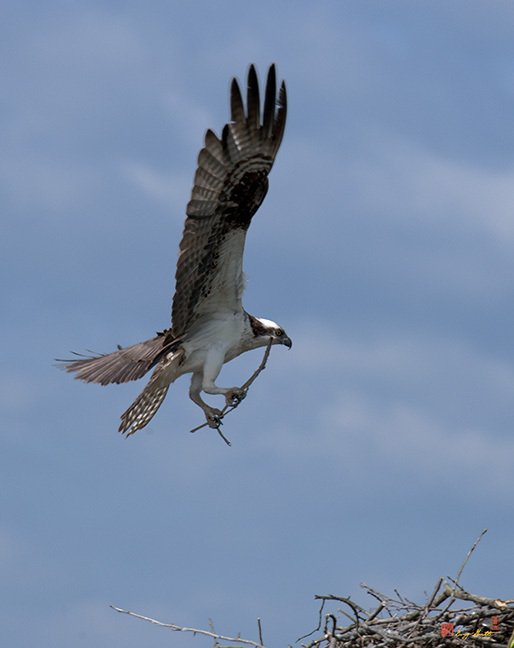 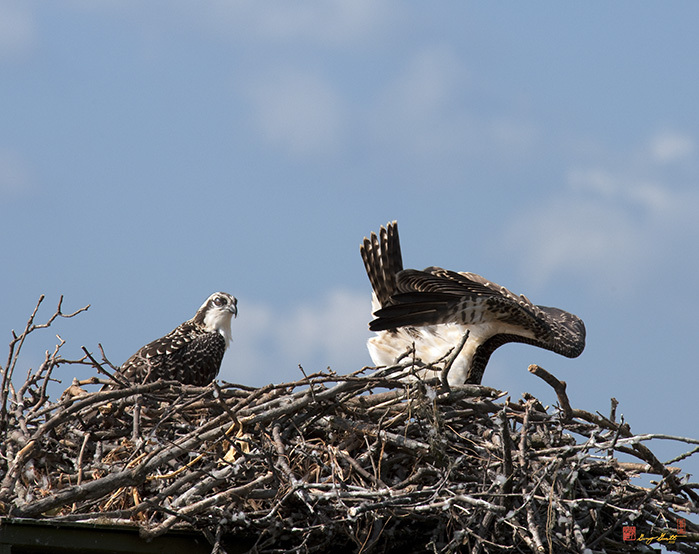 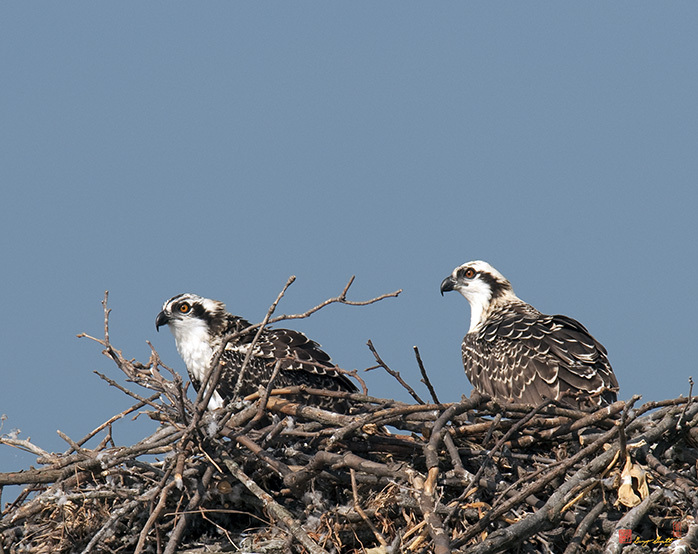 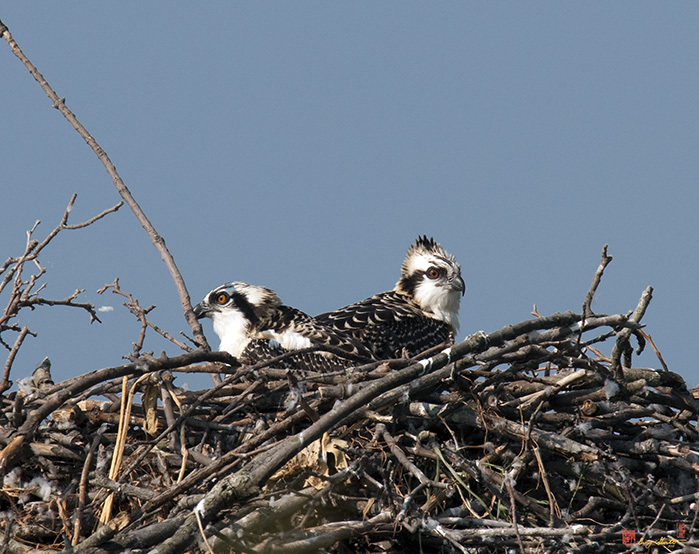 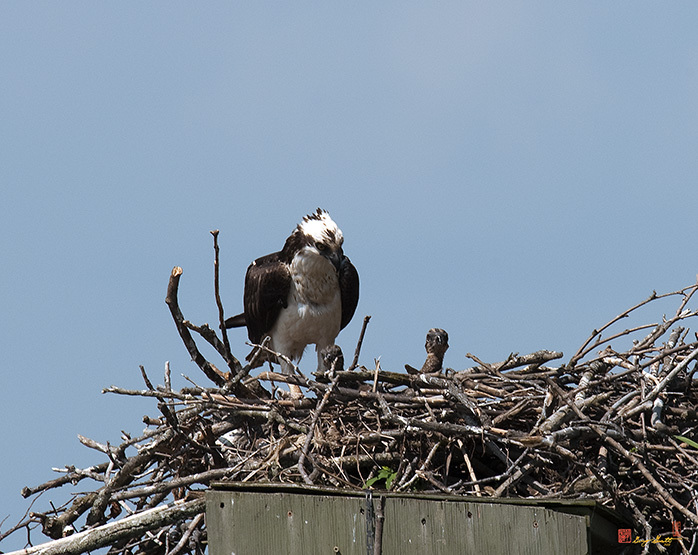 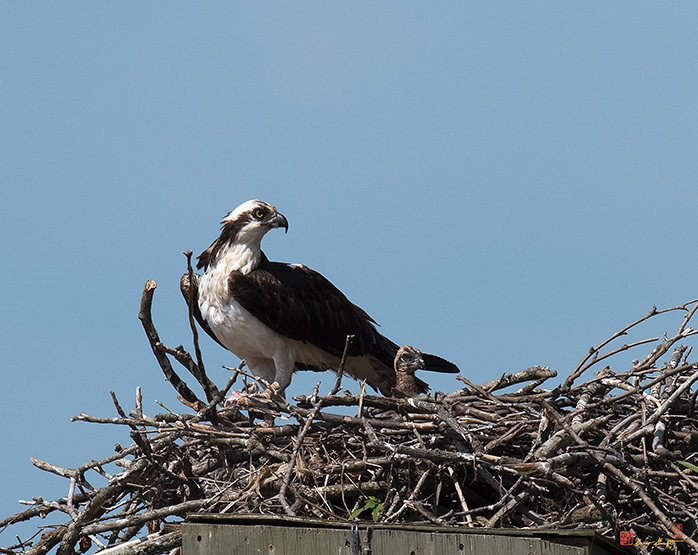 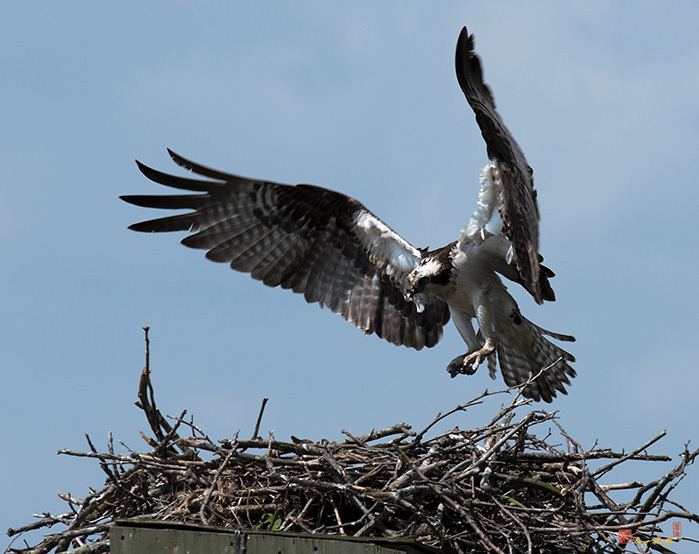 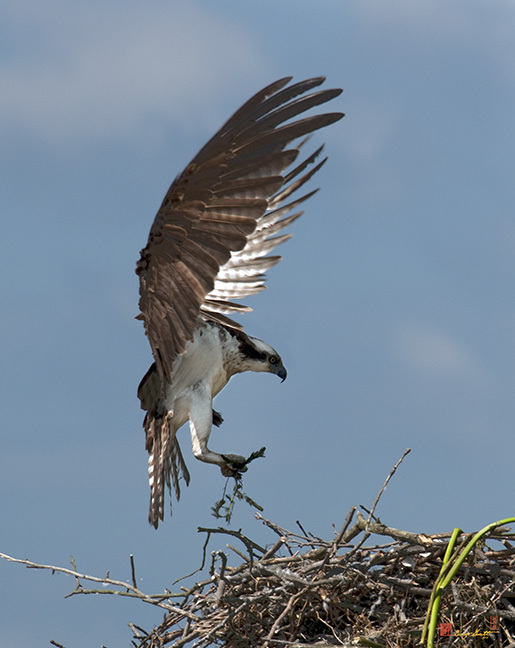 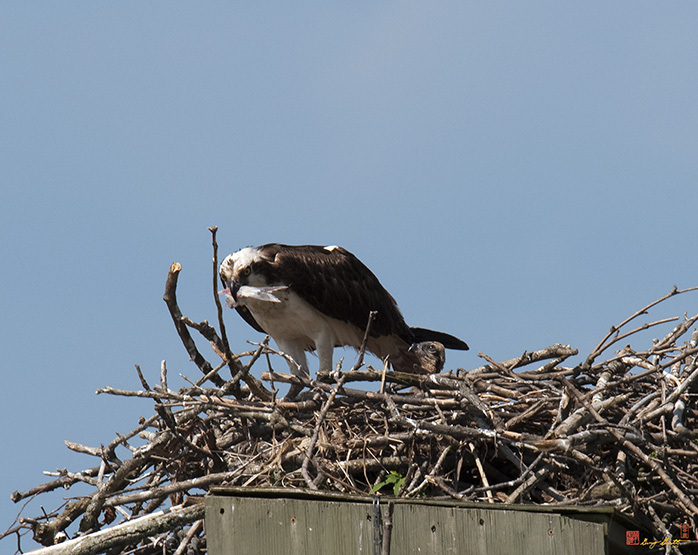 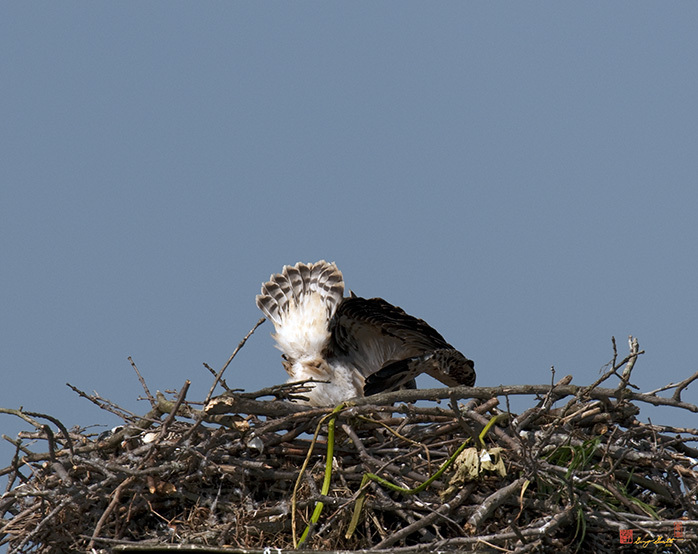 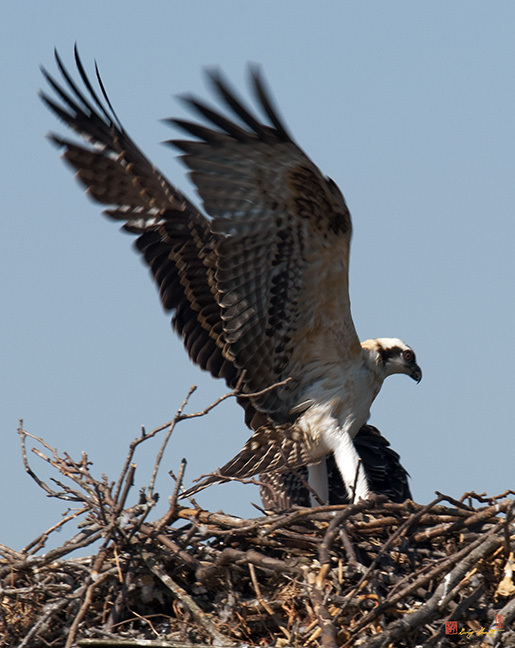 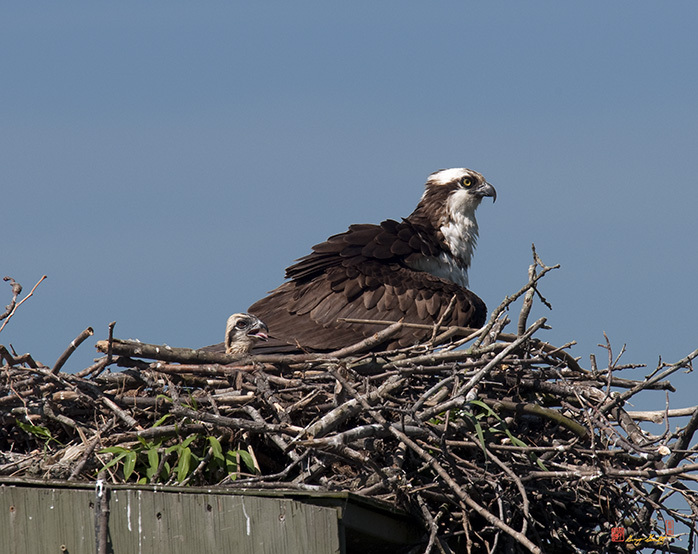 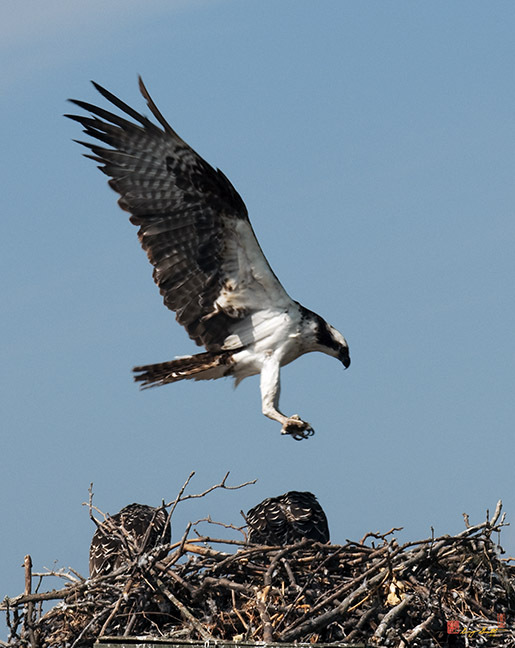 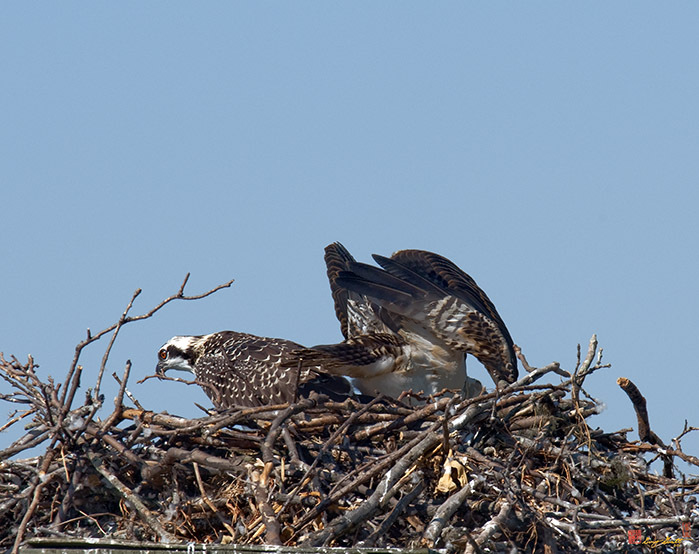 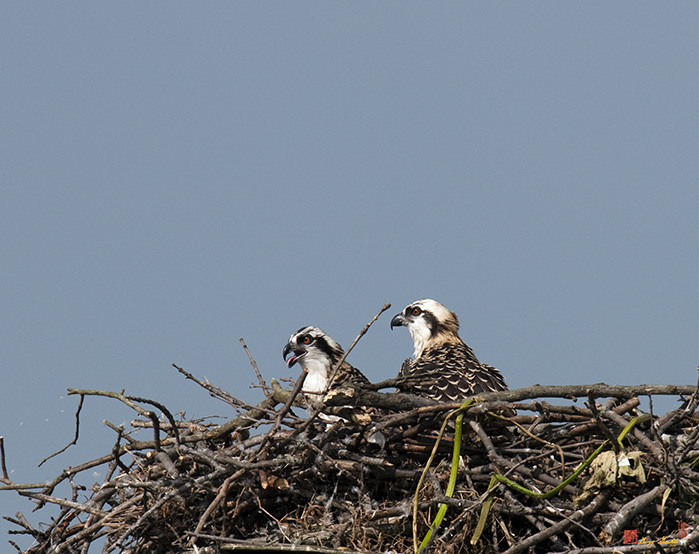 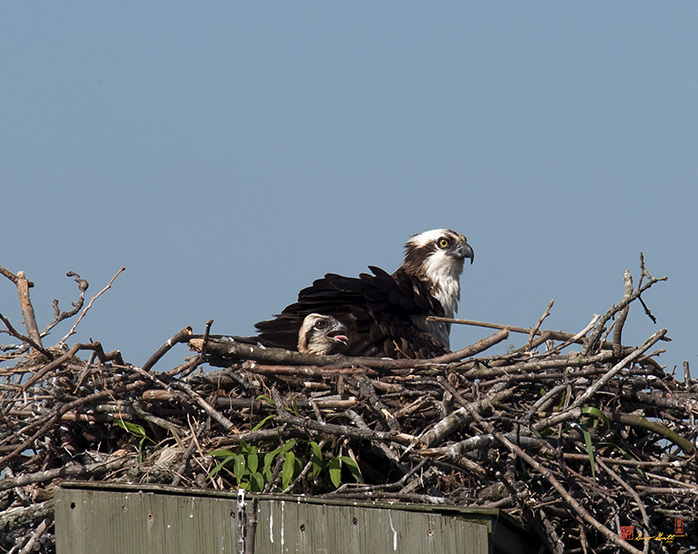 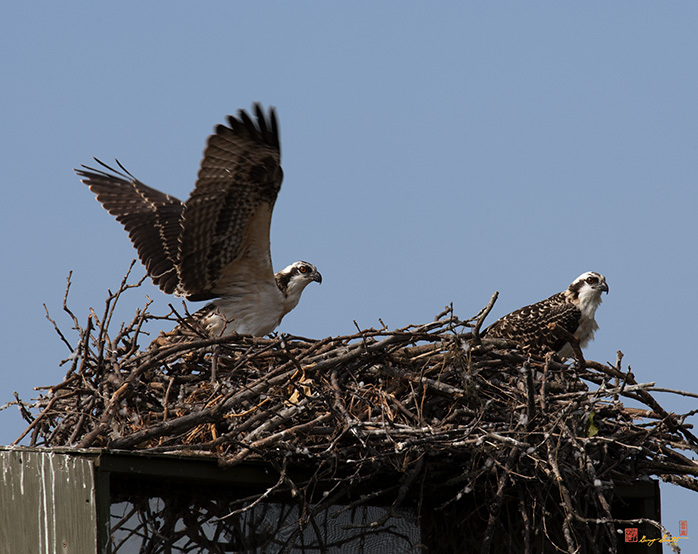 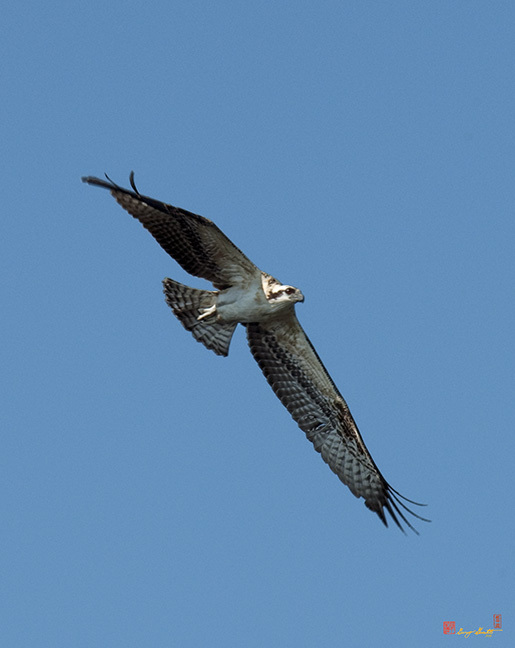 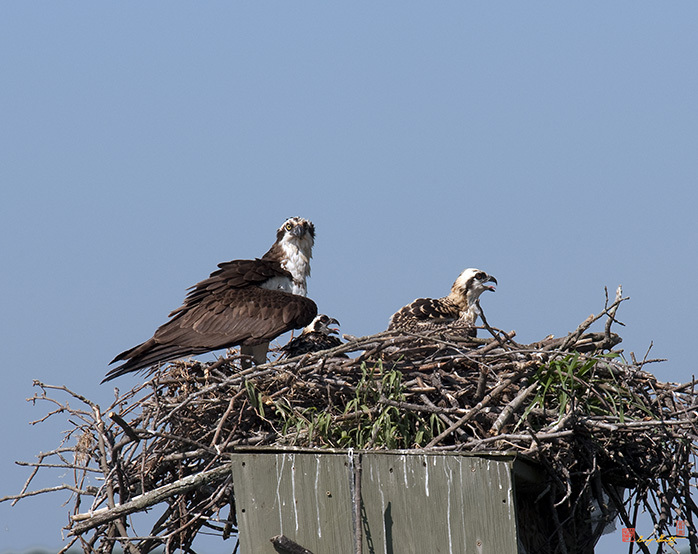 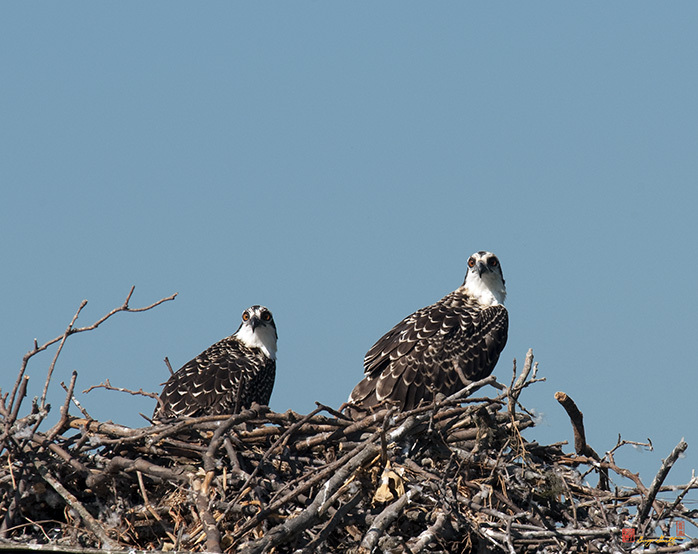 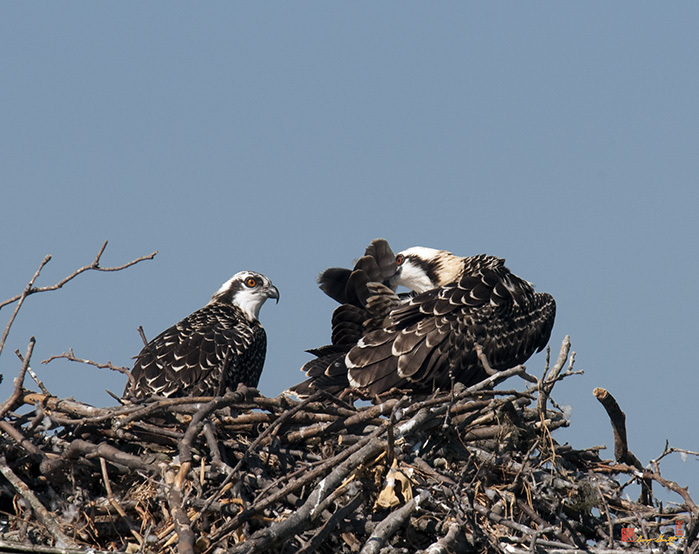 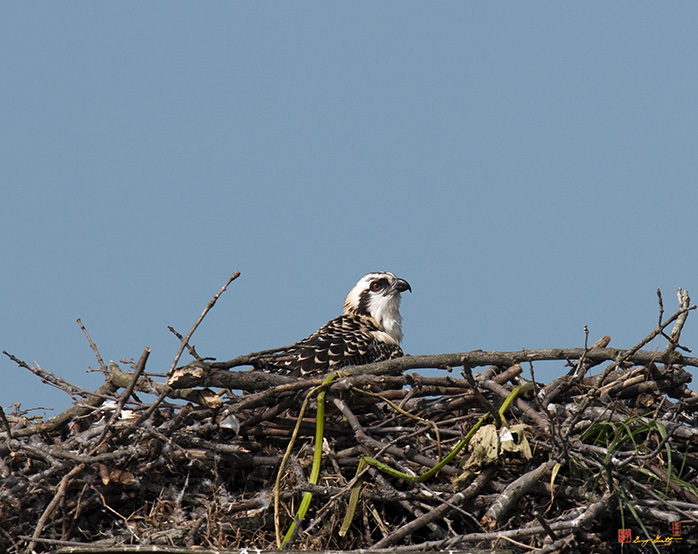 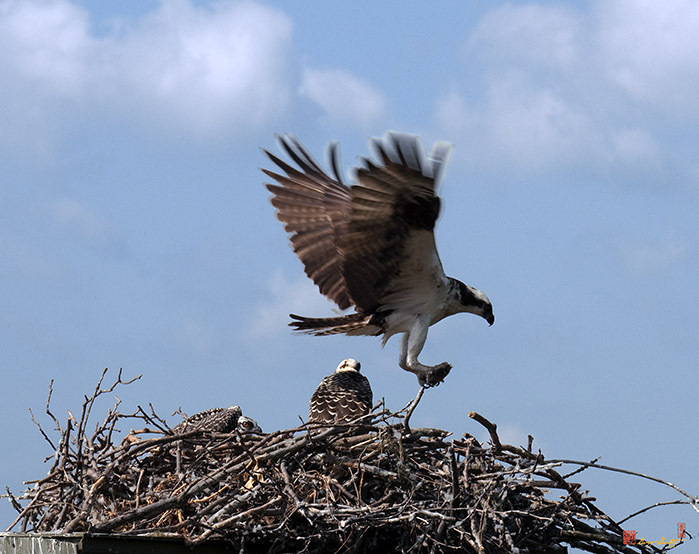 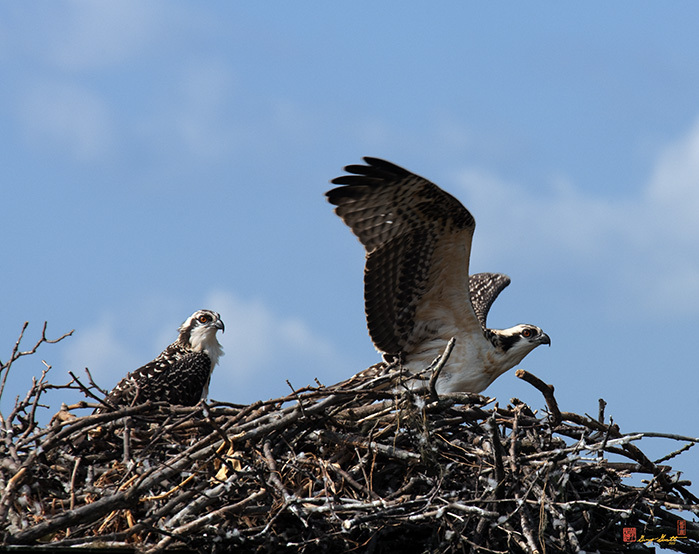 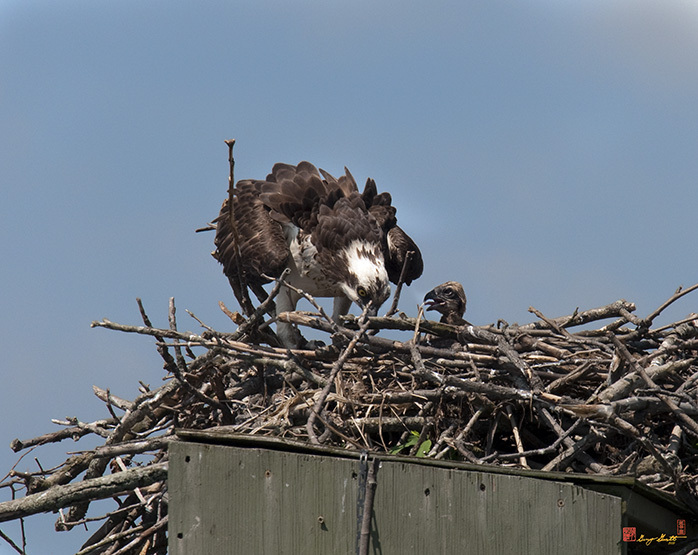 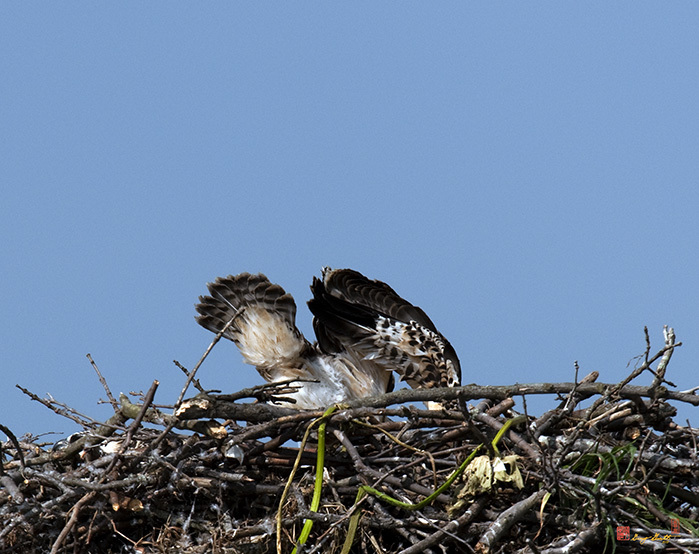 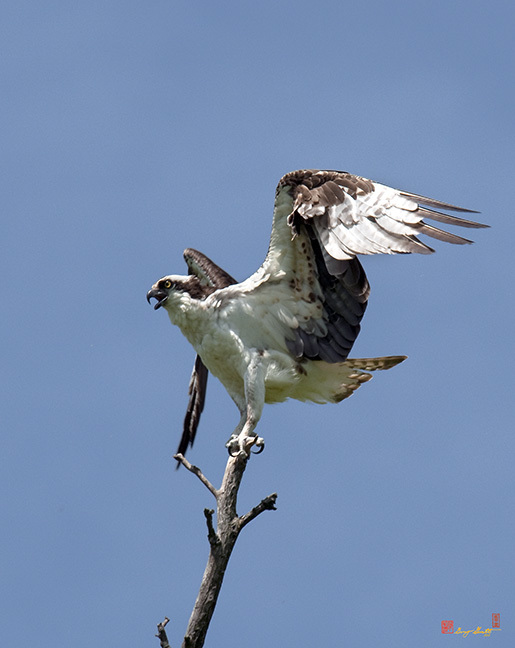 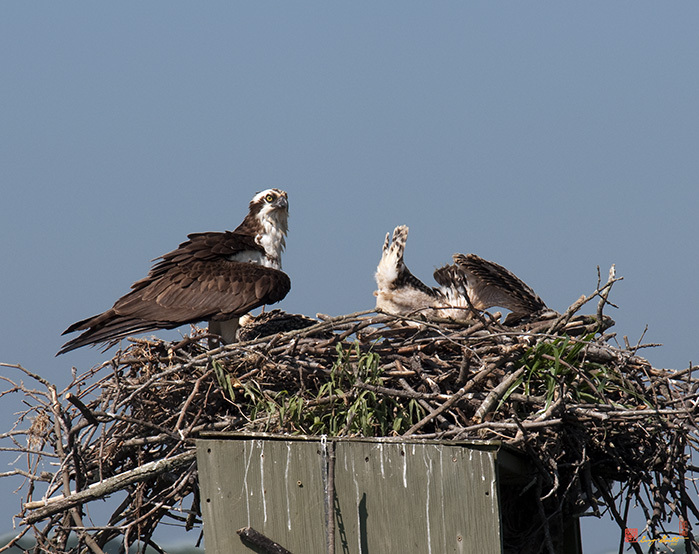 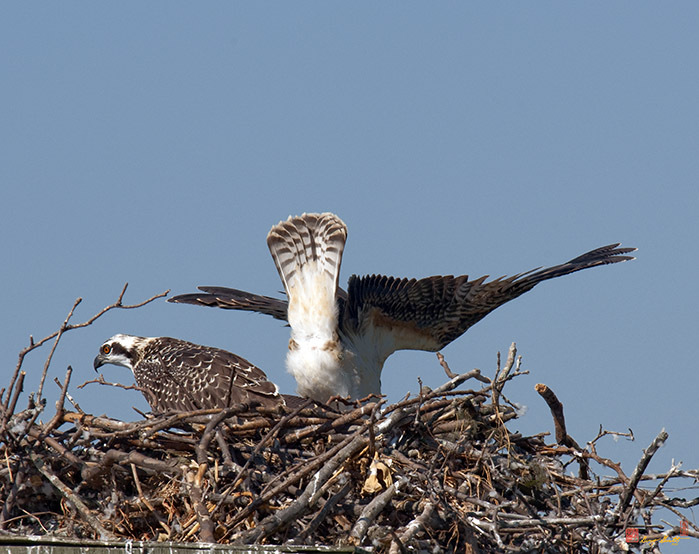 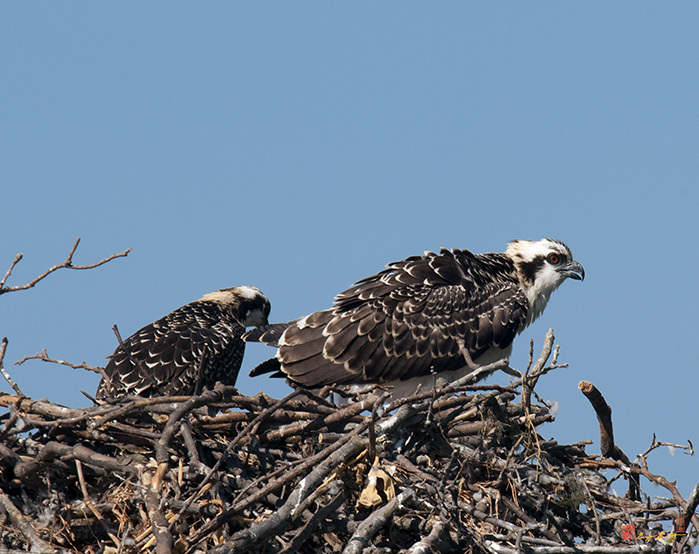 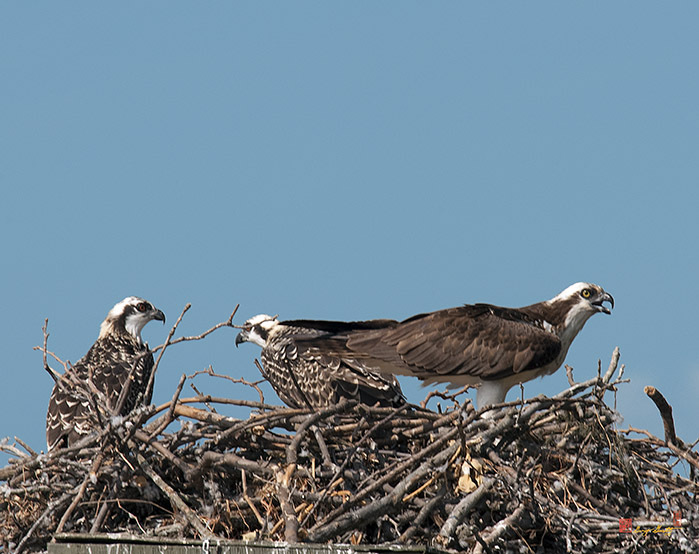 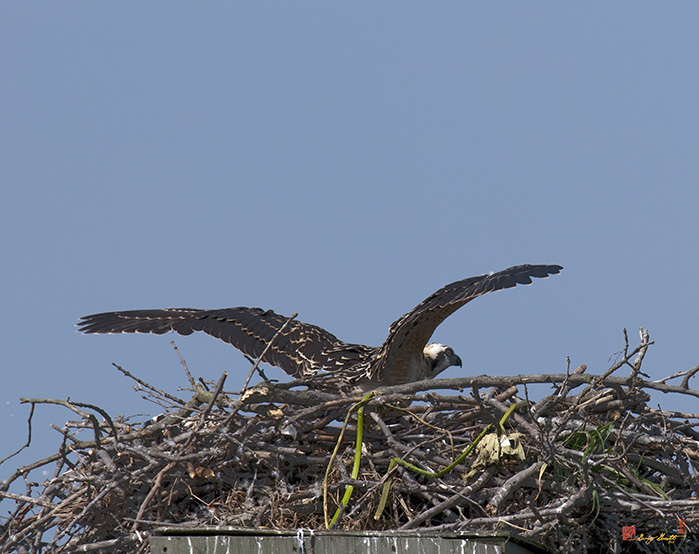 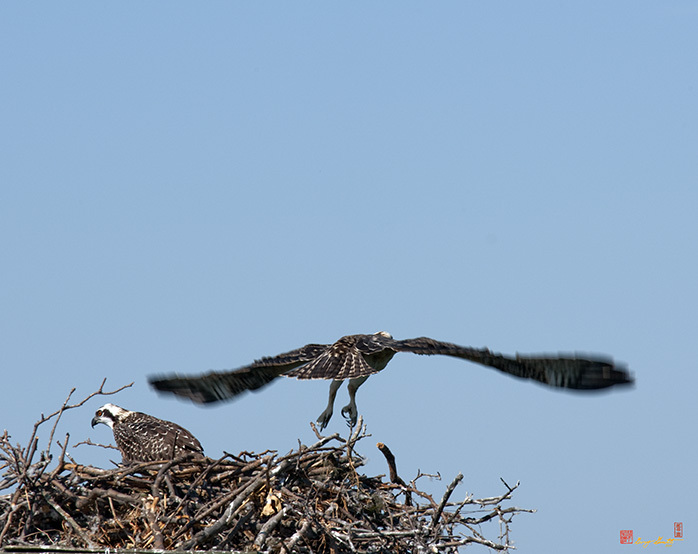 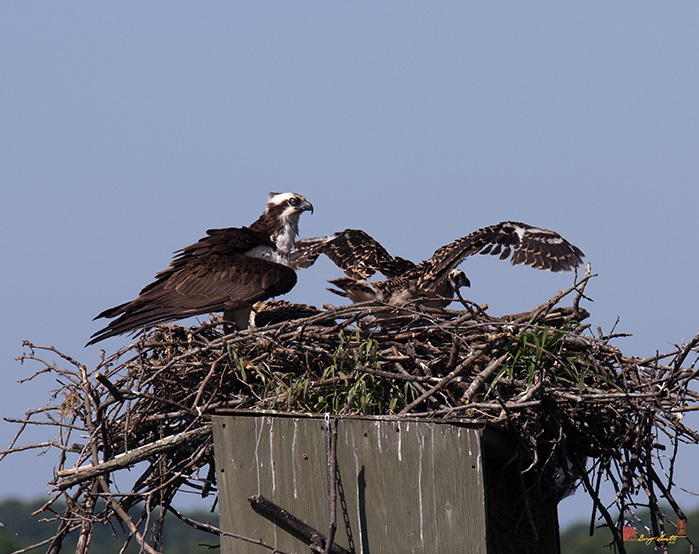 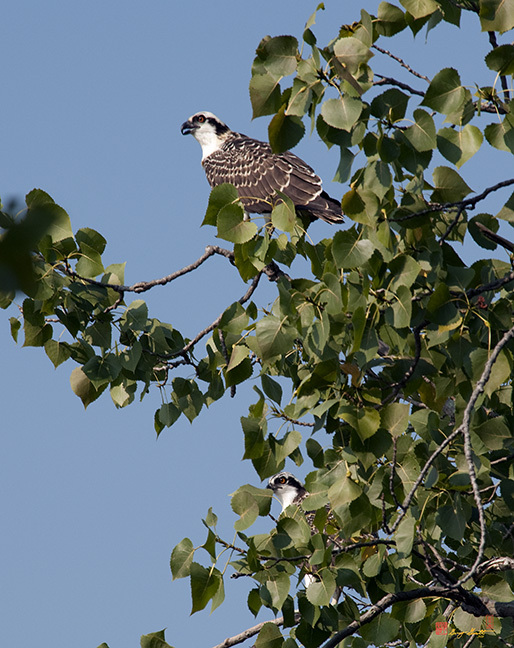 These photos are a series, taken at weekly intervals, showing how the chicks grow and some of the activities that take place at an Osprey nest. 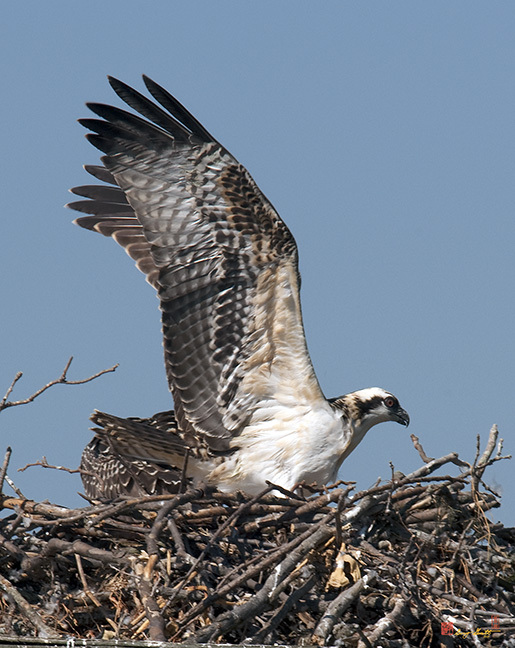 You hear an Osprey calling while on her nest.